The magical day is finally here. 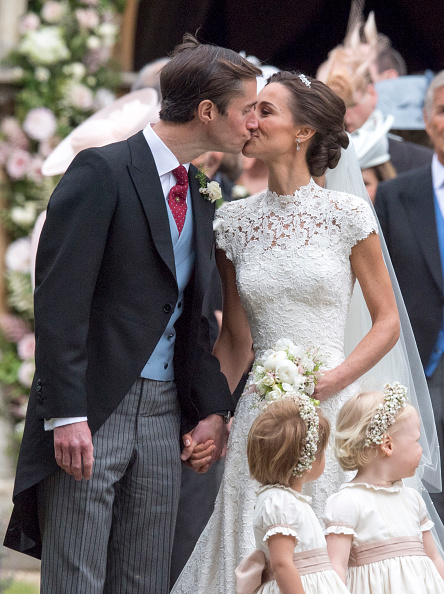 Pippa Middleton got married! And here’s all the lovely details of the May wedding. If we learned anything from her older sister, the Middletons sure know a thing or two about throwing a wedding together. Besides the bride, all eyes were on Pippa’s partner, James Matthews, and many notable guests. Not only did we get to see the angelic bride strut her stuff, we also got a glimpse at Prince George and Princess Charlotte. Guess it pays to know royalty! On the whole, the wedding went off without a hitch and the photos are truly stunning. 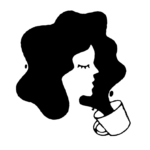 While the beautiful couple now has a happily-ever-after, their relationship went through a few bumps. Pippa and James dated for a good while up til 2012, but the two went through a split. After 3 years apart, it turns out “if you love something, set it free” truly does work, because they re-united, and look how radiant they are together! The wedding took place at St. Mark’s Church in Englefield Green on Saturday morning. Pippa wore a gorgeous, custom-made lace gown by Giles Deacon. And just like at the other royal wedding, Middleton’s sister helped the bride with her wedding train. We cannot help but applaud the lovely gesture. The Duchess of Cambridge might be royalty, but she is Pippa’s sister first. As mentioned above, Price George and Princess Charlotte were in the wedding party. Leanne Fox and her children were among the few people allowed to observe the ceremony from the lawn nearby and caught the royals firsthand. 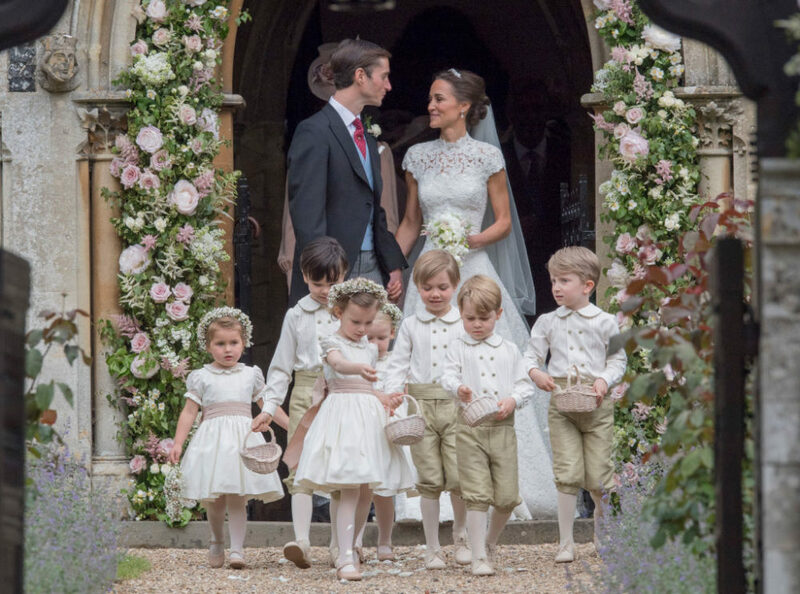 “The kids looked absolutely gorgeous and really well-behaved,” Fox told People, adding that she sometimes sees the Middleton family in church. We wish the newlyweds our best and hope to see more photos from the inside of the wedding ceremony soon.